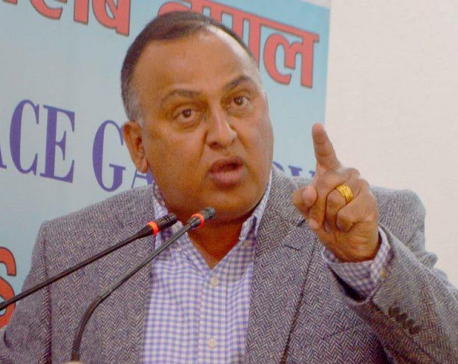 KATHMANDU, March 27: Demanding that a referendum be held to decide whether Nepal should be a Hindu state again, Nepali Congress (NC) leader Khum Bahadur Khadka registered a proposal at the party's central working committee meeting on Sunday. 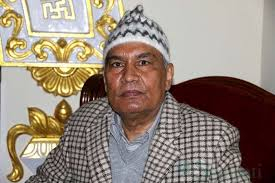 Former Home Minister and influential NC leader Khadka and some other party leaders have been voicing for the reinstatement of Hindu state for the past few of years. In his proposal, Khadka expressed dissatisfaction that the party accepted the idea of secular state without holding consultations within the party. After serving a jail term following his conviction on corruption charges, Khadka, along with some other party leaders, has been campaigning for Hindu state. Meanwhile, NC President Sher Bahadur Deuba has formed a 29-member central executive committee, appointing 22 members and other office bearers, read a statement issued by the NC party office. According to a party leader, 15 leaders loyal to Deuba, 11 loyal to senior leader Ram Chandra Paudel and three from Krishna Sitaula panel have been appointed to the committee. However, NC leader Shekher Koirala has expressed dissatisfaction over the decision, accusing Deuba of appointing the central committee members without evaluating their work performance and contribution to the party. Deuba has so far failed to appoint other office bearers of the party even after a year of the general convention. He is yet to appoint vice president, general secretary, and joint general secretary in his office bearers' team. The meeting entrusted Mahesh Acharya with the responsibility of preparing the party's election manifesto for the upcoming local-level elections. Senior leader Paudel has been given the responsibility of mobilizing party committees for the polls. However, the meeting failed to finalize the criteria for party candidates for the elections. The ongoing central committee meeting is expected to form 42 central departments and hold discussions on candidates for the polls, among other issues.